Time and money make the world go ’round and if you have recently decided to embark upon learning to play the piano, both were probably considerations in your decision. Traditional methods of learning piano revolve around expensive piano teachers, hours of lessons, and even more hours of practice. And while you certainly cannot do away completely with the investment of time or money if you want to learn to play, you can help save yourself a little bit of each by making sure you know why people give up on seeing their piano teachers and avoiding finding yourself with the same dilemma. Here are some of the reasons people quit lessons with piano teachers. You’ve already been told you should be practicing piano for at least three to four hours every week. In addition to that, you need to make time for lessons. Piano teachers usually recommend one lesson a week, which can last anywhere from half an hour to an hour. For some people, it is easy to tack this on to the end of a school day or factor it into your commute home from work. For others, however, this extra hour a week can be a scheduling nightmare. This is particularly true for new students who have siblings or children with equally busy schedules. The alternative is to combine your practice time with your lessons by learning at home. There are lots of tools available now to help students teach themselves piano, including phone and tablet apps and smart piano combinations. Alternative methods of learning can eliminate the need to see piano teachers altogether and can save you time. How deep is your coin purse? The other side of this coin is the issue of money. Regular lessons with piano teachers can be expensive, ranging anywhere from $30 to $80 an hour. That means you could end up paying upwards of $300 a month toward piano teachers, on top of the likely investment in a piano itself. This can be a deciding factor on whether or not you take traditional lessons when learning the piano. Another reason people drop their piano teachers has nothing to do with the actual teacher. It is important to consider is how people learn based on their age. 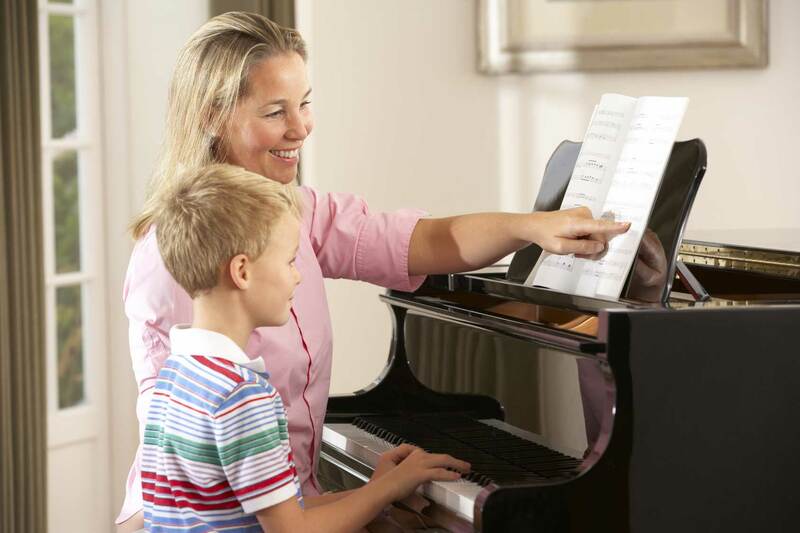 Young students, up to age nine or ten, may want to stop lessons with piano teachers because they aren’t receiving enough encouragement at home and being made to practice often enough. Without much seeing much progress, there doesn’t seem to be a reason to continue lessons and they lose interest. Older students may be dejected when they compare their skill level to that of other students their age, especially if they started taking lessons later in life. In the end, the important thing to keep in mind is that practice leads to improvement. Piano teachers can help guide you through this process, but they aren’t the right fit for all students. If you have concerns about starting traditional lessons or think you would learn better from a different type of instruction, don’t be afraid to explore the alternatives. Ask around to find different options. We’re always glad to answer your questions!